Welcome to the cosmetic surgery practice of Dr. Daniel Brown located in La Jolla, and on beautiful Coronado Island minutes from downtown San Diego, California, where beauty is our practice. We direct all our attention toward developing strong patient relationships with focus and thoughtful consideration of the most direct path to attaining your optimal cosmetic surgical result, whether the changes you seek are minor or dramatic. Dr. Brown achieves natural-looking transformations with artistry and an unrivaled attention to detail that enable you to achieve your desires. 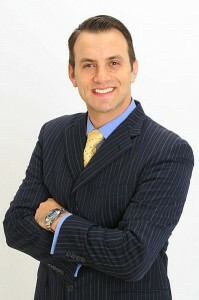 Dr. Brown provides a full scope of procedures and services to enhance your beauty, confidence, and lifestyle. 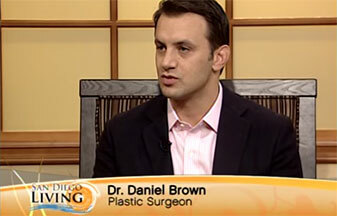 San Diego cosmetic and reconstructive plastic surgeon, Daniel Brown, M.D., invites all San Diego County residents and visitors who have considered plastic surgery to schedule a private consultation for personalized guidance in attaining your every cosmetic ideal. Licensed anesthesiology personnel are always present to care for your safety both during your surgery and your time comfortably waking up in the recovery room. Your safety during your procedure is our primary concern. Dr. Brown performs your plastic surgery procedures in his office, an accredited state-of-the-art out-patient surgical center, or the hospital dependent upon your personalized treatement plan. All out-patient surgical center facilities have received certification from the American Association for the Accreditation of Surgical Facilities (AAAASF) or the Accreditation Association for Ambulatory Health Care (AAAHC). The Medical Board of California has designated both the AAAASF and AAAHC as authorized agencies that meet rigorous state accreditation requirements. Your initial appointment will consist of us gaining an understanding of your specific interests, needs, and goals. We will then discuss your desires, my recommendations, and your treatment options. Occasionally, minor procedures or treatments can be done the same day as the consultation if you desire. However, typically most procedures are scheduled at your convenience and completed during your second visit. If patients have a complex medical history, we recommend that they gain clearance from their primary care physician to ensure that they are a candidate for cosmetic or reconstructive plastic surgery. Your past medical and surgical history. All patients under 18 must be accompanied by a parent or guardian at the consultation visit. A vital part of our service is being available for any immediate needs. In the event that you need immediate attention, please explain your problem to our receptionist, who will arrange an appointment for you. We provide 24-hour coverage. Our patient care coordinator will be happy to discuss payment arrangements that will suit your needs. We accept cash, check, VISA, MasterCard and Discover along with CareCredit and Alphaeon financing plans for those qualified. You will find that it is likely that there are many financing options that can make your plastic surgery goals feasible.